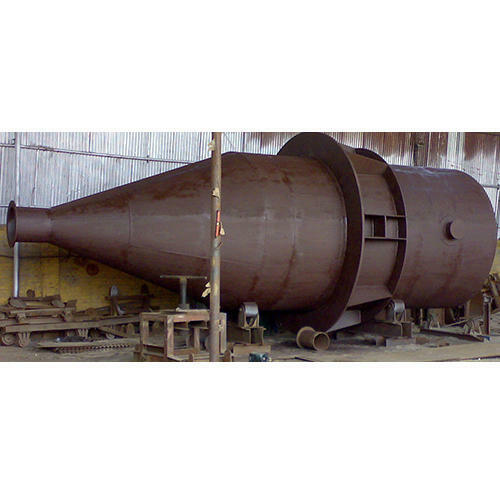 Mild Steel Silo are used in various types of industries for storage Purpose. Manufacturing Standard:• We are manufacturing as per ASME, IS Standard & International Codes for pressure vessels to perform high-quality equipment. • We are manufacturing as per ASME, IS Standard & International Codes for pressure vessels to perform high-quality equipment. • Storage Vessel shell & bundle will be hydro & water fill leak test on desire pressure after completing the fabrication. • The vessel will be internally inspected by our Q.C engineer with the complete internal record of inspection & Quality Inspection documentation. • All inner & outer Surface of the NON GMPvessel are Prepared as pe NON-GMP Standard where required. • All M.S. Parts will be painted one coat of red oxide primer after surface preparation & two coat of enamel paint. • Pharmaceuticals & Bulk Drugs, Distilleries & Beverages, Dyes & Chemicals, Pesticide & Insecticide, Dairies & Food product, Petrochemicals, Fertilizers, Intermediates, Refineries, Power plants & Allied Industries etc. For the last 27 years, M.D. Engineering company has been one of the leading Manufacturer of highly efficient engineering in industrial plant machinery equipments. An ISO 9001:2008 and an IBR certified company is a brain child of a visionary entrepreneur Mr.M.K. Dewan. Under his able guidance the company has got a tremendous growth in its field. With a perfect blend of qualified engineers and modern machines, we offer an innovative range of engineering goods such as Reaction Vessel, Mixing Vessel, Condenser, Ribbon Blender, Vaccum Tray Dryer, Screw Conveyor, Storage Tanks, Shuttering for Metro/road projects & other equipments for various sectors. Our client centric approach and the continuous quest for world-class quality have enabled us to attain and sustain leadership in all our major lines of business. We have grown to be one of the largest diversified engineers, fabricators and erectors based in India. Our hard determination and commitment towards quality, service, timely delivery, product innovation coupled with a highly motivated team of dynamic engineers have helped us to carve a special niche for ourselves in today's competitive scenario.